This entry was posted in Which Psalter? and tagged Exclusive Psalmody, Psalter. Bookmark the permalink. Is it Rouse, the predecessor of the 1650 Scottish? It is the Bay Psalter from 1640! The Bay Psalter of 1640 was the first book published in America. It is representative of several earlier Psalters from England, and was developed because of dissatisfaction with some earlier translations. One of the interesting things about the Bay Psalter was in the Preface of the Psalter. 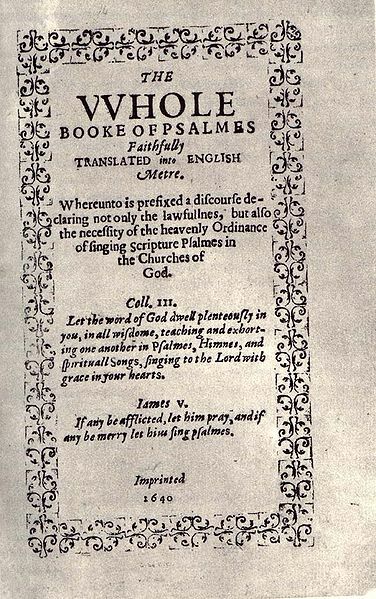 This Preface was one of the first defense of singing the Psalms ever published. It can be found here.